The multi award nominated Wonderland will premiere in the UK next year and is coming to the King’s Theatre Glasgow in July 2017! This inspirational and enchanting musical adaptation of Alice in Wonderland and Through The Looking Glass is coming to Glasgow’s King’s Theatre from the 3rd until the 8th of July 2017. 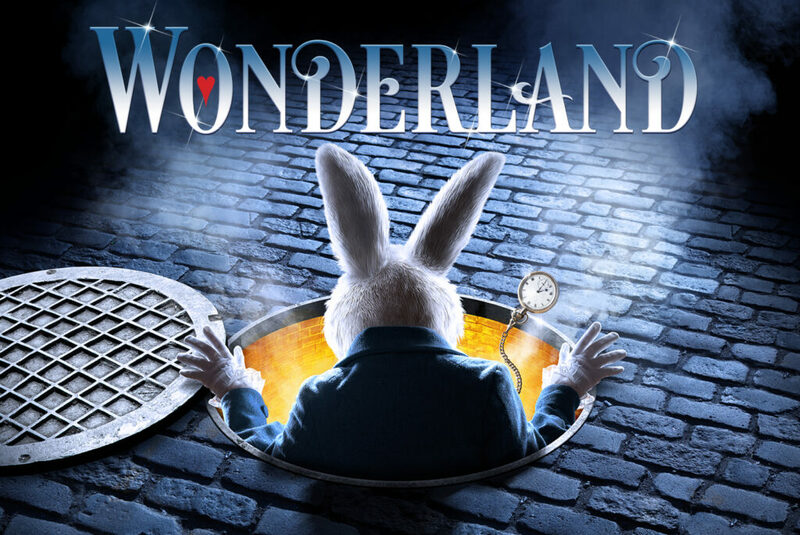 Following sold out seasons in Tampa, Texas and Tokyo, the multi Grammy, Tony and Drama Desk Award nominated Frank Wildhorn’s Wonderland receives its UK and European premiere in this brand new British production. Hailed by the New York Times as ‘inspirational’, Wonderland is an enchanting musical adaptation of Lewis Carroll’s Alice’s Adventures in Wonderland and Through the Looking Glass, with a huge heart, a medley of magic and a whole lot of wonder. In the tradition of the best stage musicals, Wonderland boasts ‘a catchy score’ full of songs by Frank Wildhorn, writer of pop hits including Whitney Houston’s ‘Where Do Broken Hearts Go?’ and theatre classics including ‘This is the Moment’ from his internationally acclaimed show, Jekyll & Hyde.